We will only consider any request by you for a returns authorisation if this is made within 30 days of the date of the invoice and will be dealt with under our warranty policy and procedure. Return of any Products, whether correctly or incorrectly supplied, or whether faulty or damaged, may only be made with our prior written authorisation. Return of Products that have been correctly supplied by us to you in accordance with your Order will be accepted. Any returns authorisations given by us shall be valid for ten days from the date of issue. Products that are the subject of a returns authorisation for which the time has expired, may only be returned subject to the issue of a new returns authorisation given at our absolute discretion. We reserve the right to charge you for handling and administration in respect of any Products that are accepted for return which have been correctly supplied to you by us i.e. : re-stocking fee. 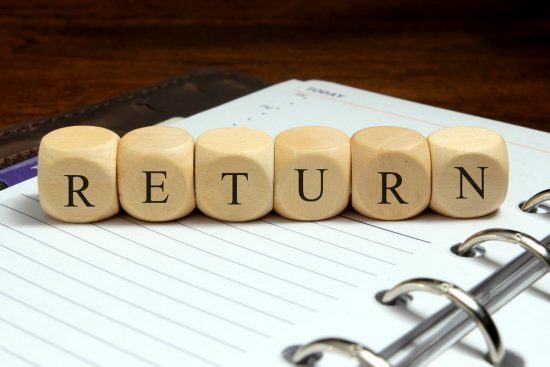 Contact Returns Department returns@microd.co.uk to request a Returns Merchandise Authorisation (RMA) document. If agreed by our returns coordinator, please complete the attached form IN FULL giving details of the Product(s) you wish to return including, where appropriate, the relevant serial and invoice number(s) and confirmation of the date of purchase. You will also be requested to give a full explanation of the reason for the return(s). Without delay, immediately send the duly completed RMA form back to us for processing together with a diagnostic report, if applicable. We will normally consider all requests for returns authorisation within two (2) working days of receiving a properly completed form. If we consider your request for return to be acceptable, we will provide you with a RMA number and the relevant date the products must be returned by. Products must be returned, at your cost, unmarked in all original packaging in which they were delivered, including cables, manuals, documents and accessories, etcetera. Any manufacturer labels or stickers affixed to the packaging must not have been removed. If you require replacement Products to be sent to you before we receive the returned items, you will be invoiced at the original sales price and we will quote your original purchase order number on all documentation with the suffix “Repl”. It is the Customer’s sole responsibility to arrange for the return of the products. Once we receive them back, provided that they comply in every respect with the above procedure, we will credit your account with the appropriate sales price, less the restocking fee and other costs if appropriate. FAILURE TO COMPLY WITH THE ABOVE PROCEDURE WILL RESULT IN REJECTION OF PRODUCTS. ALL GOODS REMAIN THE PROPERTY OF MICRO – D LIMITED UNTIL PAYMENT HAS BEEN RECEIVED IN FULL.